Introducing, SYNEDREX, the world's first 4 step metabolic accelerator. 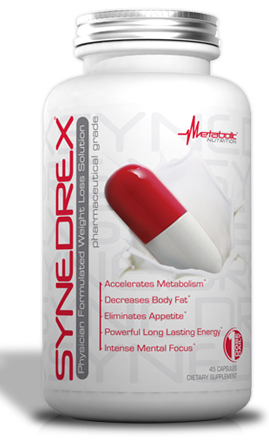 SYNEDREX works by addressing the 4 problem areas which can slow your metabolic rate. This revolutionary discovery gives you a 4 step solution...to change your slow barely functioning metabolism -> into a calorie burning furnace! Allowing you to regain your healthy fast metabolism of years past! STEP #1 Increases your caloric burn each and every day! STEP #2 Stimulates your Energy Levels! STEP #3 Controls carbohydrates for maintaining a healthy blood sugar level to control sugar cravings! STEP #4 Controls your Hunger so that you spend more time living life than looking for something to eat! Synedrex Directions: Due to the strength of Synedrex please assess your tolerance by initially taking only 1 capsule upon awakening for the first 3 days. After assessment, if effects last longer than 15 hours, consider alternating dosage to every other day. With caution, you may increase up to 2 capsules in the A.M. Do Not take more than 2 capsules daily or 12 hours prior to desired bedtime. Only Phenolox, Thyrene, and Hydravax may be combined with Synedrex for a more customized weight loss solution. 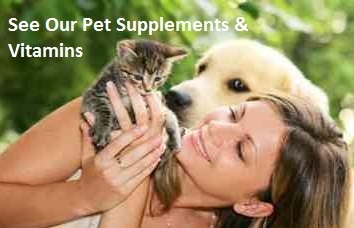 Do Not combine with other non approved supplements or medications. Do Not use Synedrex longer than 60 days continuously.